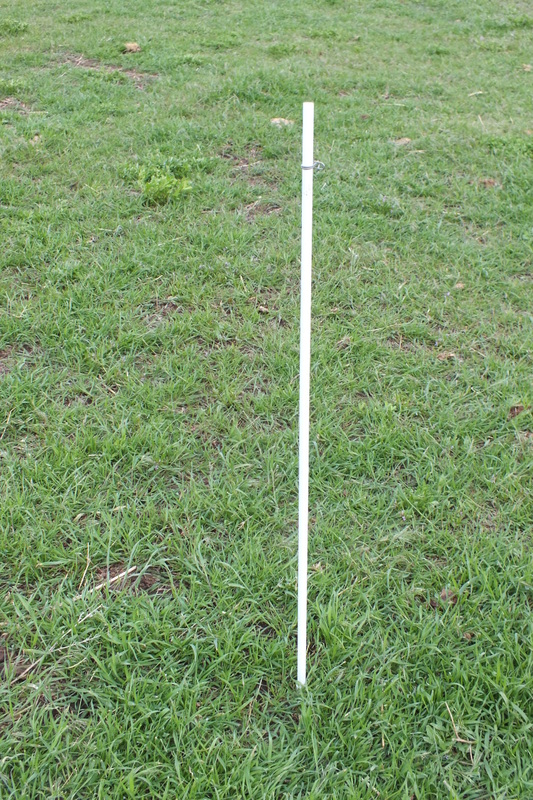 The No-Step Post is ideal for mob grazing cattle. It is the only portable fence post that works well in hard or frozen ground, can easily be driven into hard/frozen ground, and does not get tangled up! They are even easier to use than the pig tail posts and are much less cumbersome to use than the treadin posts. 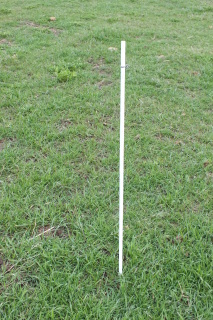 The easiest to use portable fence post on the market. It pushes in the ground so easy a step is made obsolete. They work especially well for mob or strip grazing when you need to move fence every day. Made from durable ½'' coated fiberglass that will not give you splinters, and there is no need for an insulator. These will not short out like the pigtail posts. They are 40 inches long overall with 36 inches above ground. Lacking a step they are less cumbersome and do not get tangled up, which also makes for compact transport and storage. One of the biggest advantages is the ability to put up a fence in one trip. By utilizing a quiver to carry the posts you can string out the wire and put the posts in on the same trip, saving your valuable time! The labor saving aspect of putting up or taking down a fence in one trip is what really sets these posts apart! They are strong & stiff and can even be put into frozen ground with a rubber mallet. Each post comes with one steel clip. Made in the USA! Now available in different lengths from 36 to 60 inches. Please call or email to order a custom length.